Serving the Mt. 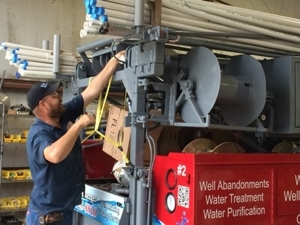 Vernon area and surrounding communities, Hewitt-Messenger is a leader in the water well industry in Southwest Missouri for more than 36 years. 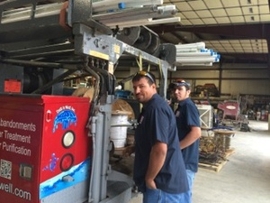 Hewitt-Messenger knows that it pays to have your water well drilled in the environmentally challenged area. Hewitt-Messenger's expertise in digging wells, installing pumps, and supplying water to clients in the region have made the company sought after for its services. Combining industry-leading boring technology with years of experience of drilling for new wells, servicing old ones, and deepening existing wells, Hewitt-Messenger is a business you can count on to get the job done while delivering excellent customer service. We work hard to keep up to date with the latest well drilling technology by participating in continuous training. The result is that we're able to keep delivering a clean and lasting water supply to our customers. Call us today for your water well needs. Our water well experts will provide you with a solid estimate for our work and get you on your way to fresh, clean water. Call today at (417) 374-0179.